Common Weed Names: Climbing Milkweed, Fringed Twinevine. Climbing milk weed is a weed that grows prominently in arid areas and is problematic in ranches. The Climbing milk-weed will climb up trees, fences, and ditches to find its way through gardens and lawns. 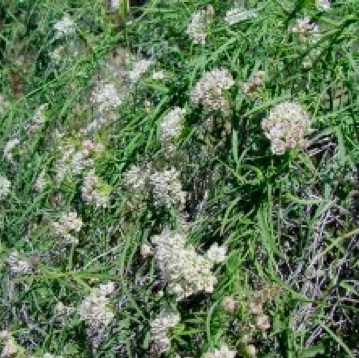 In Arizona, this weed is spotted throughout southern and central region in washes and arroyos. It also begins flowering and growing at the beginning of April and will continue through October, but the seedpods continue living till November. The typical individual flower has the typical milk-weed flower shape which consists of 5 sepals and 5 petals fringed with white hairs. Its leaves are green, hairless, opposite, and vary in shape and are narrowly to broadly lance-shaped, or shaped like an arrow-head or heart-shaped. Stems are slender, green, and twining. If damaged, a milky juice can be seen exuding from the foliage. The Hairy Milkweed has hairy leaves, the Wavyleaf twine vine has green flowers and wavy leaves. We are delighted to be able to serve your home or business in providing weed control in flower beds, weed control in lawns and much more. Our website provides extensive tips and techniques to help you along the way, so don't forget to visit often and follow us on Facebook and Twitter, and of course sign up for our free e-Zine to learn more about our, weed control products, lawn weed control, weed removal services, and other pests information. If you need more information or have a problem with any type of weeds please call us and one of our professionals (weed control is their specialty) will answer any question you may have or send a weed exterminator to assist you. NOTE: We have some of the most qualified weed exterminators in the field and can be dispatched all over the State of Arizona although we are based in beautiful Scottsdale.